Bumpers, Hoods and Fenders - Atlantic Used Truck & Salvage Corp. Bumpers, Hoods and Fenders - Atlantic Used Truck & Salvage Corp. 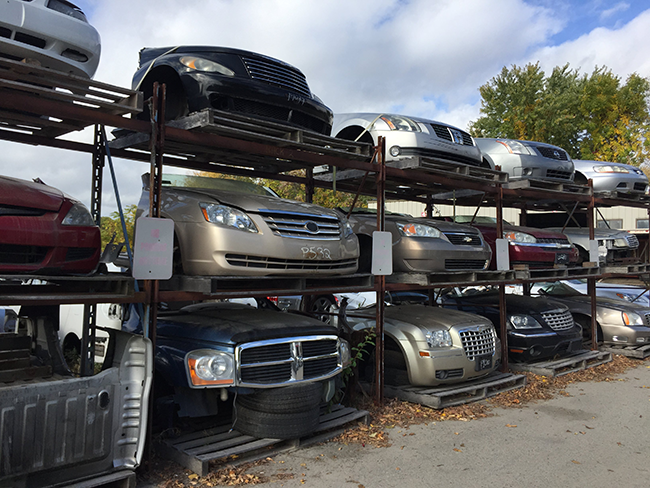 Bumpers, Hoods and Fenders - Atlantic Used Truck & Salvage Corp.
Atlantic Recycled Auto Parts has a large inventory of late-model body parts for both the auto body professional and the walk-in customer. Whether you need the entire front section of a vehicle (nose) or you need to replace a broken head lamp, Atlantic can supply you with the parts you need. If we don’t have the part in stock we can find it for you on the nationwide parts locator network. If you’re looking for a source for any of the parts listed above call Atlantic Used Auto Parts at 800-225-0812 / 978-459-2544 (local). * Note – Cut sheets are available for auto body shops that require special cuts / clips.